The Imagine scooter has a very comfortable seat and a built in headlight for your nighttime riding yet is still portable if you need to take it apart for transporting it. It has a 12-15 hour theme park usage ride time for up to 400 pound capacity. It is easily portable. It fits in a car trunk and on boats, buses and monorails. Watch the video of how easily it is to take apart and put in a car trunk as well as find out about all the other features of this versatile scooter. All of our scooters have a nice-size front basket, upgraded batteries (standard batteries just won’t do) and upgraded fast battery chargers (no additional cost to you, of course). You can charge the Imagine in 5-7 hours from dead flat. We always recommend you bring your charger with you to the theme park just in case you have more fun scooting around than riding the rides! It plugs into a standard electrical power outlet. The Imagine has it’s own key and comes on a coil wristband for easy keeping. We have 24 hour customer service while you are on your scooter and it is always a Scooter Vacations person that answers your call, no matter the time. If it is 3 in the morning the on-call person will wake up and take your call! No other scooter rental company offers this level of service. 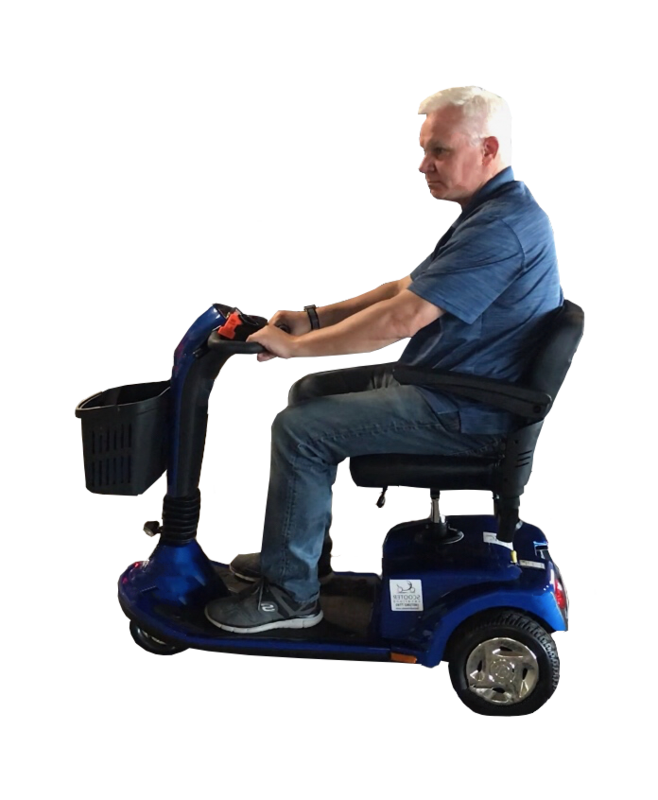 If you need a little bit more comfortable seat in a portable scooter (for up to 400 lbs), rent the Imagine. You will be glad you did!